The Mayo Clinic Center Social Media Network (MCSMN) exists to help Mayo Clinic professional and allied health staff better understand the power and potential of social media tools. We provide training and resources to help you use them safely and effectively with confidence. MCSMN is resource and networking center not only for Mayo employees, but also for healthcare peers at other institutions. Dues from external members support development of our resources, and Mayo also gains from the experiences and insights of member colleagues from around the world. While external premium members pay $495 annually for access to the training resources and the member-only community, those benefits (and more) are available at no charge to every Mayo Clinic employee and student. Mayo Clinic employees also receive discounts of at least 50 percent (and sometimes more) on regular registration for our Social Media Residency course, Member Meetings and other MCSMN events. 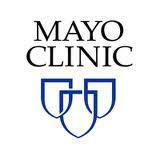 Please register now (remember to use your mayo.edu email address) for your free Mayo Clinic Premium Membership. Next, please join the Mayo Clinic Social Media Champions program (log in with your same MCSMN account) so you can share Mayo-curated health-related news with your networks on Facebook and Twitter. Questions? Please contact us by email and we’ll be glad to answer them. Looking for a consultation? Fill out our form and we'll respond shortly. Want to submit a social media post for Mayo Clinic's Facebook or Twitter accounts? Provide us with information about what you'd like for us to consider posting and we'll be in touch.